Review by Krulle on 10/24/2013. The bonus situation is horribly. ETA: this causes extreme unbalancing in early games, as someone might get lucky and gets a large bonus after his first turn. Tell Q to stop meddling! ETA: If this is on purpose, why does no other transwarp hub have a connection to a non-bordering country? And why are the transwarp hubs not interconnected? If you've got the balance better, I'll gladly reconsider my vote. Review by Nathan on 10/11/2013. The bonuses are extremely skewed (and extremely large). 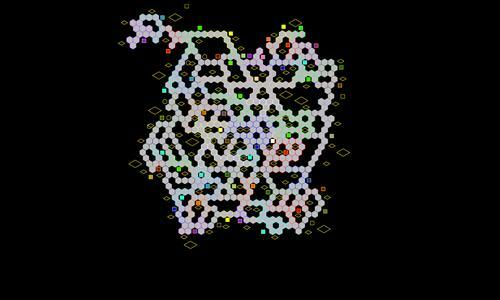 Moreover, each bonus area appears to be virtually duplicated. For example, Sector Alpha 4 and the United Alliance of Evil include exactly the same territories. It's almost like the creator used dummy territory and bonus names and forgot to remove them when he/she put in the real ones. There are several missing connections. I would also like to see a graphic marking the Bajoran wormhole because it came as a total surprise to me when I stumbled onto it. Nevertheless, this map has great potential. The layout is challenging and the bonus areas themselves are manageable. I recommend taking the time - at least once - to manually adjust the bonuses so that it is playable. One easy method is to reduce all the creatively named bonuses to zero and simply retain the Sector area bonuses. You'll probably also want to adjust the superbonuses to make them smaller and more equitable throughout. Review by Angriest Angel on 10/22/2013. Love the map. Probably should be played with army cap though, due to the insane income. Review by Cyssoo on 3/22/2014. Review by GalacticExposure on 2/16/2015. During my game, the balance was immediately thrown off. Review by Andalorium on 12/7/2016. I want to love the map, but besides the unbalance of the bonuses, there are a lot of unexplained connections, I figured out the warp gate and worm hole, but Atlantis does not connect to one of its adjacent territories, and this happens all over the map, just something that really bugs me. Review by A_B3 on 9/10/2017. Odd territory reward bonuses make for difficult to understand game play. But once you play a few games, you gain an understanding and reduces understanding. Review by Perhaps on 10/25/2017. Review by Christian 'Thor' Picard on 10/11/2013. I totally agree with Krulle: bonus highly unbalanced, to the point the map in unplayable. For the moment, I give 1 star.